SUMMARY: The day Phoebe Cook attended a research talk by JMU's Dr. Idelle Cooper at the University of Virginia's (UVA) Mountain Lake Biological Station would change her life. The day Phoebe Cook attended a research talk by JMU’s Dr. Idelle Cooper at the University of Virginia’s (UVA) Mountain Lake Biological Station would change her life. Phoebe was so inspired by Dr. Cooper and her research in evolutionary biology that she applied to JMU’s Master’s of Science in Biology program. She wanted the opportunity to work with Dr. Cooper on research examining the evolution of color in Hawaiian damselflies. Dr. Cooper reflected on their first meeting, saying, “I didn’t know that the inquisitive, confident, and intelligent young woman who raised her hand to ask a question would, three years later, be finishing a Master’s thesis in my lab.” Now Phoebe’s journey at JMU is returning to where it began as she prepares to graduate and go back to Mountain Lake Biological Station this summer as a Ph.D. student in the UVA Ecology & Evolution Program and a National Science Foundation (NSF) Graduate Research Fellow. The NSF’s Graduate Research Fellowship Program is highly competitive and gives awards to rising scientists who demonstrate the ability to contribute novel and meaningful research to the field as well as to enhance the scientific community through outreach. Phoebe was awarded this prestigious honor for her project proposing research on a novel explanation for rapid coevolution and her commitment to making science more inclusive. She explained how her background in biology combined with undergraduate minors in education and gender studies prepared her to understand the need for increasing diversity in the field. Phoebe described the biggest impact of the NSF fellowship for her personally as giving her “the gift of time” because the generous stipend from the fellowship allows her to focus on her research full-time. Research, according to Phoebe, is the essence of what graduate school is all about. While a graduate student at JMU, her research taught her how to navigate the challenges of project development and how to run an independent project, which are both key skills she needs for her doctoral studies. With the mentoring she received from Dr. Cooper and the support of JMU’s biology department, she feels ready and excited to start a Ph.D. project. 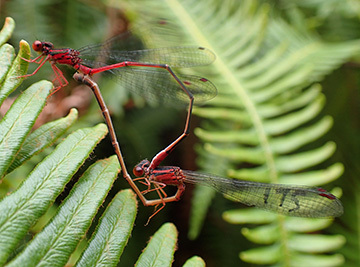 The connection between Phoebe and Dr. Cooper has continued as they’ve worked together over the past two years studying Hawaiian damselflies. During her time at JMU, Phoebe has learned about more than damselflies. She has learned to be self-motivated and to seek help when needed. She encourages other graduate students to embrace the opportunities graduate school offers to learn from expert researchers and to develop the skills that will propel them into the future. 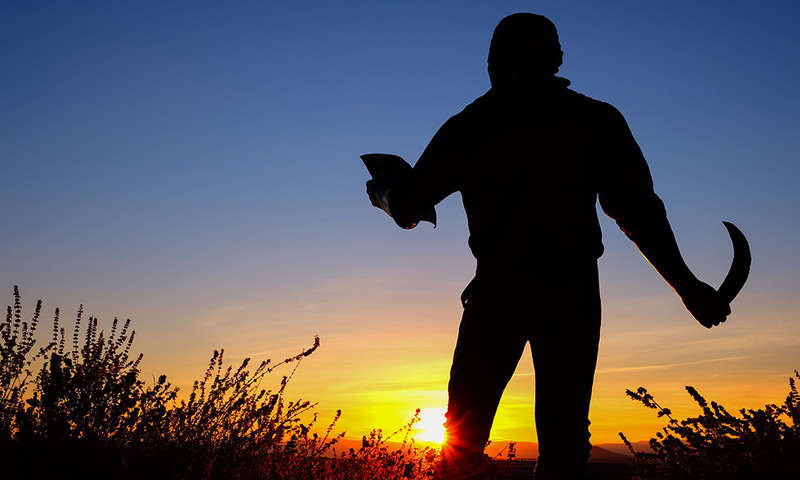 Written by Alyse Lehrke, doctoral student in Strategic Leadership.